The December 2013 Transition Network newsletter Is this email not displaying correctly? The Big Debate: how should Transition initiatives respond to austerity? November’s immersion in austerity has taken us in numerous directions. We’ve had James Meadway’s ‘Austerity Basics’, which have given us a grounding in the thinking behind the whole approach. We’ve heard from a Conservative MP on her take as to why austerity is necessary and could be the spark for all manner of community enterprise. We’ve heard from food journalist Felicity Lawrence about the impact the austerity cuts are having on the safety and regulation of our food. We spoke to Jeremy Leggett about the importance of challenging the stranglehold the Big Six energy companies have over our energy supply. Pam Warhurst of Incredible Edible Todmorden told us how they are seeing urban food production in the context of a response to austerity. Prof Tim Lang told us about how food policy needs to reevaluated in the light of austerity. Jane Fearnley-Whittingstall shared her thoughts on what we can learn from the austerity of 1939-1945 that might apply today. Frances Northrop at Transition Town Totnes abouthow TTT are seeing their work in the context of austerity. Our Social Reporters also reflected on the subject (for example here). We heard how Jamaica Plain New Economy Transition are responding to austerity, and Jason Roberts told us about lessons from the Better Block project. Ever wondered what austerity actually means? Where the idea comes from? Whether it actually works? With the help of James Meadway, Senior Economist at new economics foundation, we have a series of answers to the most commonly-wondered-about aspects of austerity. MP for Totnes shares her thoughts on austerity, why it’s happening and how we might respond to it. Plus some some challenging comments from readers. With food writer and Guardian investigative journalist Felicity Lawrence Rob explores how austerity measures are affecting what ends up on our plate. She talks about the re-emergence of slavery in the current food system, the impact of the huge slashing of trading standards budgets, and emerging real social justice problems. Jeremy Leggett’s new book ‘The Energy of Nations: risk blindness and the road to renaissance’ is an inspirational, page-turning telling of the evolving tale of peak oil, climate change, and economic crisis, and how the three issues intertwine and interweave. Pam Warhurst is a community leader, activist and environment worker who is one of the founders of Incredible Edible Todmorden. She shres her thoughts on urban food production, austerity and food banks. An interview with Dr Tim Lang, Professor of Food Policy at City University London. For decades he has been at the forefront of debates around public health and the role that food, and food policy, play in that. What can we learn from the austerity of 1939-1945? Writer and garden designer Jane Fearnley-Whittingstall wrote a book called ‘Thrifty wartime ways to feed your family today’. Frances Northrop, TTT Project Manager on what does austerity look like there, and how is Transition Town Totnes responding to it? We’ve heard from all sorts of people, and now we’d like to hear from you. How do you think Transition initiatives should be responding to ‘austerity’? What are you doing in your initiative? In the run up to Christmas, the website will be exploring our relationship with « stuff » from different angles. You can now see the entire film for free on YouTube. Copies of the DVD can still be ordered in a beautifully packaged edition or just the disc in a plain cardboard cover. We have added a film review section on the website for films of interest to Transition Initiatives. It includes details on the film and where to obtain a copy and how to obtian a screening license. The ability to add comments will be added soon. For comments and additions contact Mike Grenville (see below). It’s a bumper roundup this month, as we’re doing 2 roundups at once, seeing as we were unable to do one last month. As you’ll see, it is packed with news and stories from around the world, showcasing the huge diversity of what Transition groups get up to. Transition network hits the road to visit the South East and East Anglia Transition Initiatives to find out what’s been going well and what is challenging for them. An inspiring short video based on the editorial in the Winter edition of Transition Free Press. Since Alexis Rowell has been appointed Managing Editor TFP are looking for a new News Editor. If you can’t get your hands on a real-life copy of the sparkling new 4th edition in your neighbourhood, check out our on-line version. As the energy of nature withdraws to the roots the social reporters also pause to take a look inside. You don’t often get people talking openly about despair, but in this post Ann explores what we often try and ignore. The role of religion in Transition is an important one for Caroline, that and ‘just doing stuff’. How Sustainable is Transition, Really? Sophy Banks explores the tension between taking actions and getting things done and our need to slow down and invest in ourselves and our relationships. Kerry shares her key learnings about Inner Transition from her involvement in People and Permaculture and encourages our two movements to work more closely together. Along with The Worm of Doubt, Jan Martin introduces us to the Snail of Doom and how he came into her life. Diana introduces us to Toni Dipple the driving force behind Organic Ilford and the recently formed Transition Redbridge. Every other week or so we explore the fertile edge of creativity with no set topic and no fixed format. Mike Jones descirbes the rich edge between Transition and play and shares some very exciting new projects in Totnes. Global and local stories of trees beautifully told by Chris Bird. Caroline tells her story of the car conundrum we all have to face. Ann challenges us to be prepared. 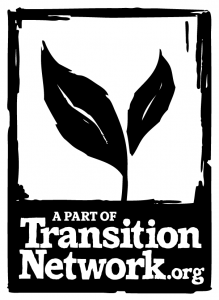 The Transition Social Reporters are a small voluntary group of writers who are always looking for more people who want to tell their stories of Transition. Do you write? Are you interested in a variety of topics? Want to try writing a post or two to see how it feels? If so we need you! How is your Transition Initiative or Low Carbon Community Group doing? Would you like to trial a range of resources that will enable your group to self-monitor and evaluate your activities? ‘Monitoring and Evaluation for Sustainable Communities’ (MESC) is a 12-month Knowledge Exchange project running from 1st December 2013 until 30th November 2014, and funded by the UK Economic and Social Research Council. MESC brings together researchers from the University of Oxford, members of UK low carbon community groups, Transition Network, and Low Carbon Communities Network, to co-produce and trial monitoring and evaluation (M&E) tools. We are now inviting up to 25 UK-based Transition Initiatives, local energy groups, and low carbon community groups to trial selected monitoring and evaluation resources and tools over a six month period in 2014, with support from the project team. The online version of our very popular face to face fundamentals course in the skills and practices of Transition. Copyright © 2013 Transition Network, All rights reserved.